New Gear-Position Engine Mapping: Talk about smart: The CRF250RX features an ECU with special engine mapping for each gear. 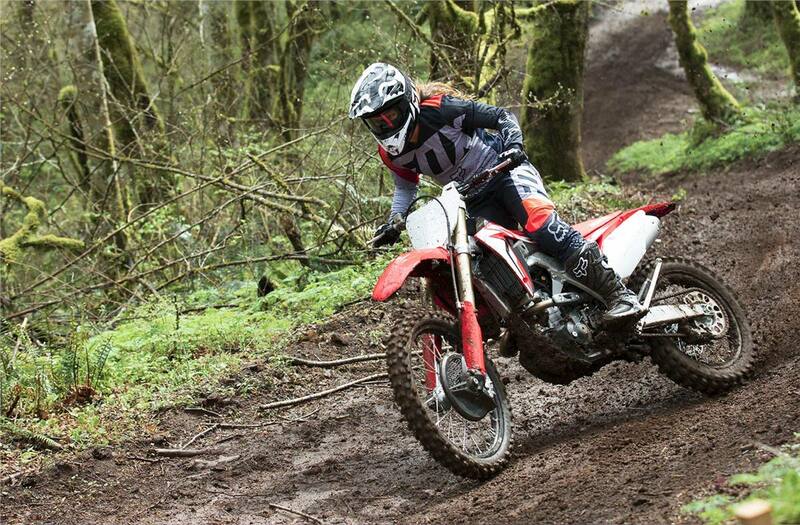 You can’t give an inch in this class, so having your engine deliver optimal power for each gear choice is one of the features that separates CRF250RX riders from the rest. Big Bore/Short Stroke: The CRF250RX’s 79mm bore and short 50.9mm stroke let our engineers create a high-revving engine with plenty of room for large valves. 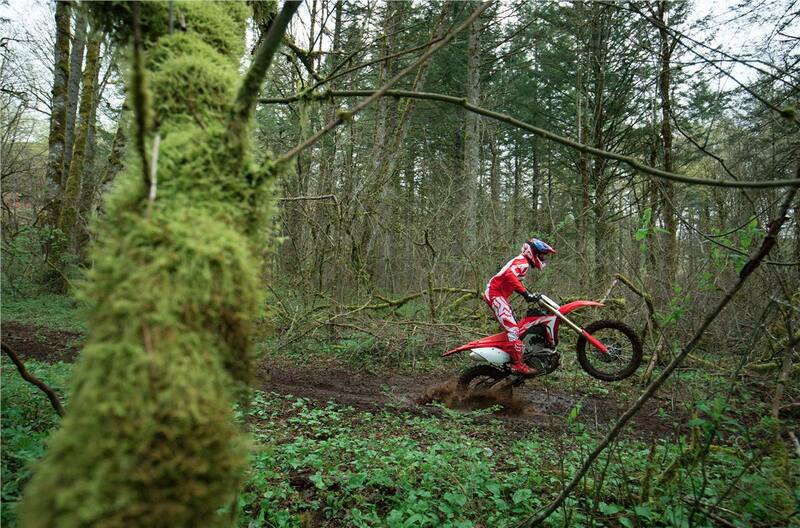 The engine breaths and revs—the two keys to making power in the enduro world. “H” Section Crank: Look closely at the CRF250RX’s crankshaft profile and you’ll see its “H” cross-section design. What’s up with that? Just like a structural “I” beam in an aircraft wing or a skyscraper, it boosts strength and cuts weight over a conventional crank’s shape—a big deal when you consider this part spins at over 14,000 rpm! 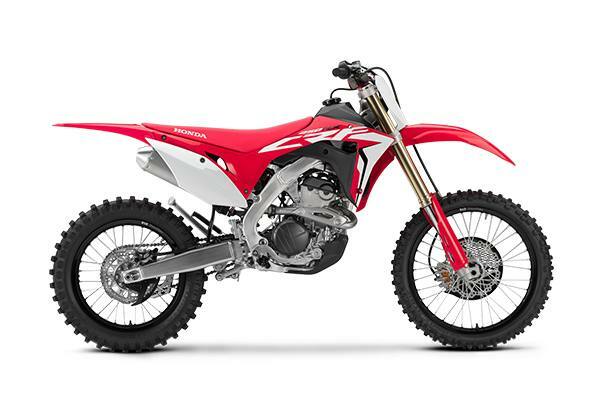 Gradual Pipe-Bend Radius: Notice how the CRF250RX’s dual exhaust pipes make gradual, large-radius bends out of the head, then flow straight back to the mufflers with no abrupt angle changes. Getting the exhaust out of the engine—while still maintaining a tuned exhaust length, is the key to power, while the pipes’ low mass and twin-silencer design optimize the CRF250RX’s center of mass for superior handling. 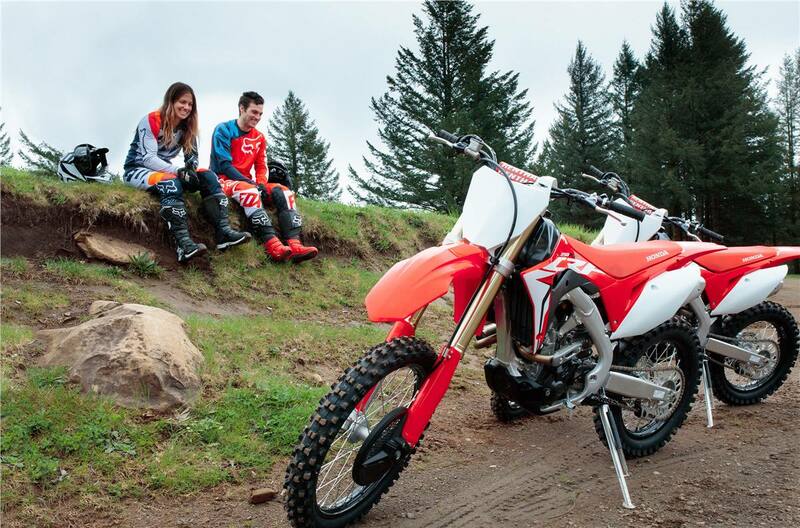 Shared Engine/Gearbox Lubrication: The 2019 CRF250RX uses a shared engine/transmission oiling design. Why? Combining the two systems shaves weight and helps make the engine more compact, especially when it comes to placing the right-side cam drive and the clutch so close together. New 2019 Cam Profiles: With input directly from our HRC works team, we’ve given the new CRF250RX the same cam profiles on our 2019 CRF250R. 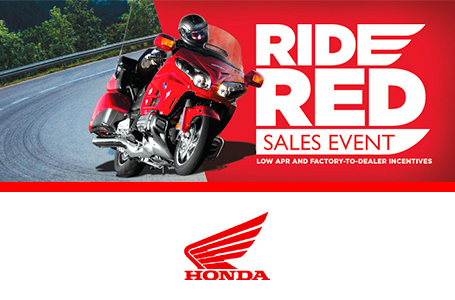 You should feel the engine rev more freely, as well as improved torque feel in the bottom end. New Throttle Body: With a 2mm smaller venturi designed to speed up airflow, the CRF250RX’s new throttle body really reaps benefits at low engine operating speeds. You get power and snap, right now. 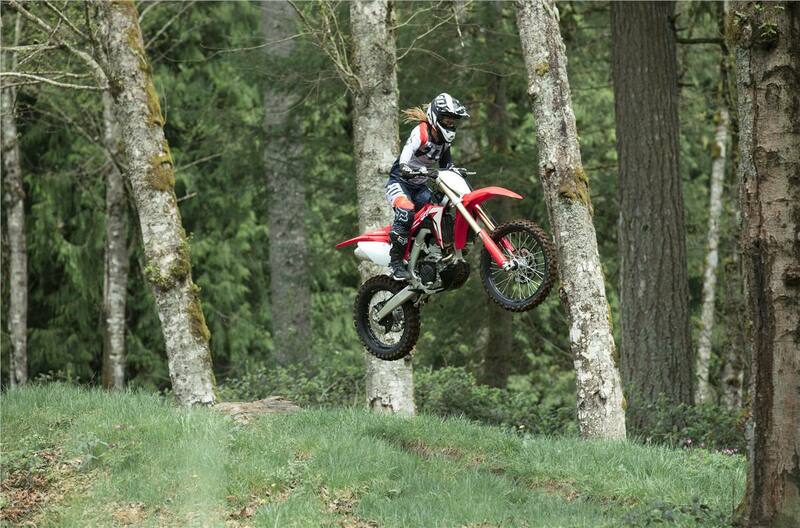 New Double-Spray Injector Settings: The CRF250RX’s fuel-injection system sprays twice per intake cycle. That helps increase fuel atomization without adding the weight or complexity of a second injector. The better fuel atomization means more power in the midrange and on overrev—you’ll feel it the first time you ride. Large Valve Diameters: The CRF250RX’s valves don’t just have impressive lift, the valves themselves are large-diameter too—33mm intakes and 26mm exhausts. 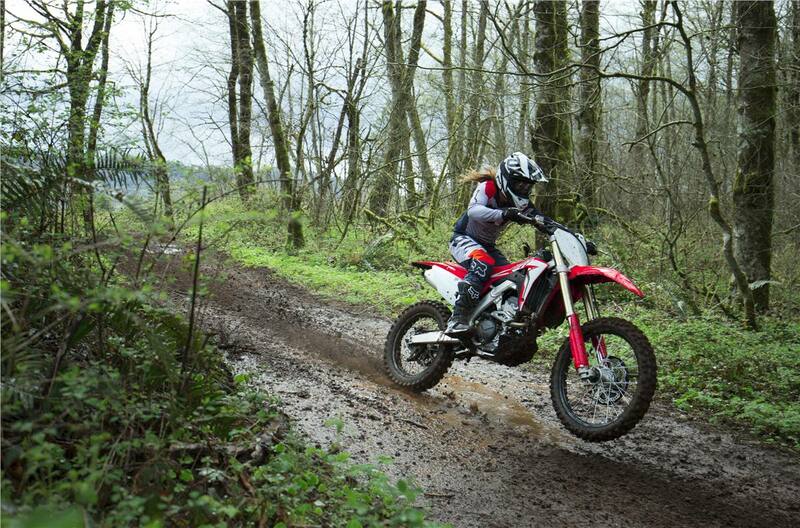 Combined with the high lift, the twin-cam CRF250RX flows a lot more, especially at high revs when you’re wicking it up. Showa Spring Fork: The 49mm Showa fork features a conventional spring design that helps increase the CRF250RX’s front-suspension precision, handling and feel. The 39mm piston diameter and 25mm rod diameter guarantee a plush feel and supple action. 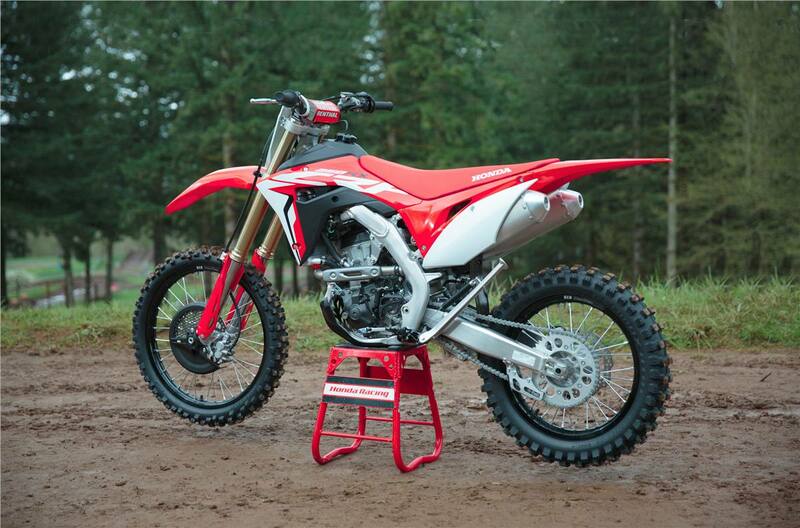 260mm Front Brake: The CRF250RX’s large front-brake disc measures a whopping 260mm. You get great brake feel and a pattern that cuts down on weight. Front and rear brake-disc guards are part of the package too. “In Mold” Graphics: With the all the time you’ll be spending in victory circle, you need to look your best. 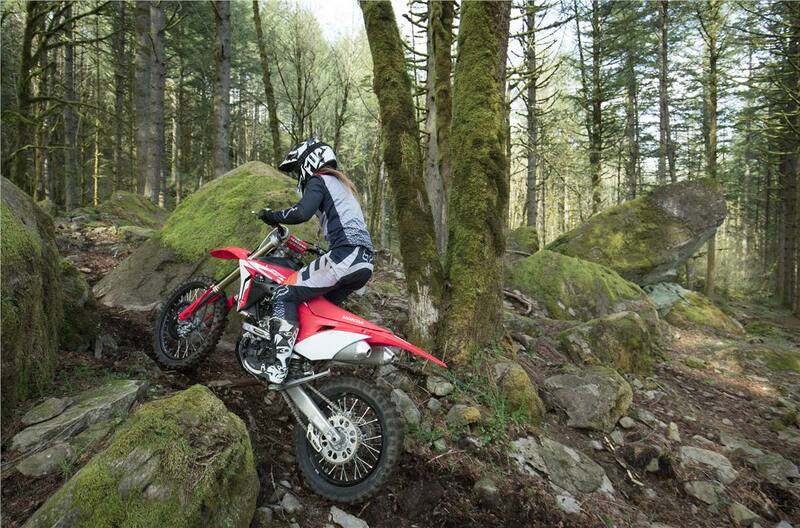 The CRF250RX has you covered. Our “in mold” graphics look great, and stay looking good longer. Flat Seat/Tank Junction: The 2019 CRF250RX features a flat seat/tank junction, including a titanium fuel tank. The superior ergonomics make it easier to move forward and back on the bike, increasing your control.